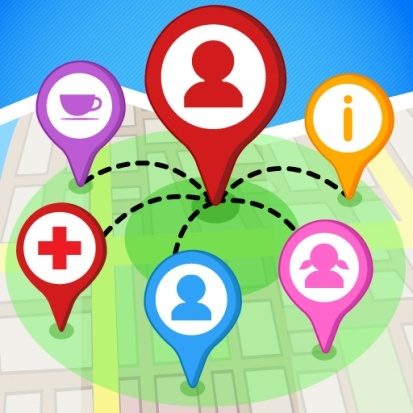 A geo-proximity service in location-based social networks alerts a mobile user when any of his/her friends is in the geographical vicinity, so as to enrich social activities such as collaborative working and information sharing. To realize such services, existing systems collect location information from mobile users for proximity computation, which raises serious privacy concerns. This project aims to develop more sophisticated location update and query techniques that support these geo-proximity services while preserving the location privacy of mobile users. We have addressed the location privacy issue for the "nearby friend alert" service, a common and fundamental service in mobile geo-social networks. We have developed a new proximity detection scheme comprising a dynamic grid overlay and optimal grid placement based on the grid-and-hashing paradigm. The key advantage of this scheme over prior work is that users can dynamically trade accuracy for communication cost (or vice versa) in a quantitative manner, by adding (or removing) a number of grids. This advantage is particularly critical in mobile environments where bandwidth and battery conditions may change drastically. We have proposed a notion of symmetric proximity detection, where two users are considered to be in proximity only if they are located in each other’s vicinity region. 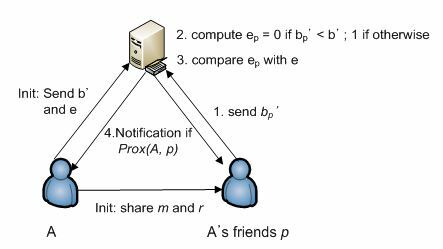 A new proximity detection algorithm has been developed without leaking users’ location information to any third party. 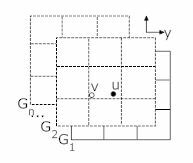 It divides the boundary of a vicinity region into line segments, employs a shift-and-compare protocol for each segment, and collectively decides whether there is any friend in the vicinity region. 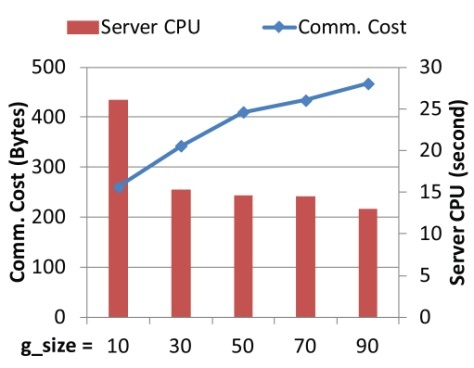 This solution features 100% detection accuracy with low communication and computation costs. X. Lin, H. Hu, H. Li, J. Xu, and B. Choi. “Private Proximity Detection and Monitoring with Vicinity Regions.” ACM SIGMOD Workshop MobiDE, June 2013. “A System and Method for Providing Proximity Information” (with H. Hu). US Non-Provisional Patent Application No. 13/905,456, Filed in May 2013. This project is supported by the Research Grants Council (RGC), Hong Kong SAR, China (Project HKBU211512) and the Hong Kong Scholar Program (Grant XJ2011008). For further information on this research topic, please contact Prof. Jianliang Xu.